New 13" Oopsy Care Bear glows when the lights go out! Hold Care Bear 2-4 feet from the light for 30 seconds for best results. Best in a completely dark room. Comes new in original box. 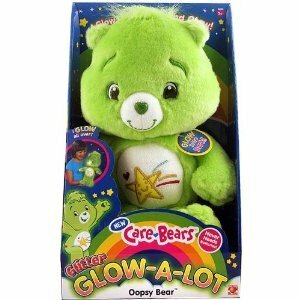 Items Similar To "Care Bears GLOW in the Dark OOPSY Plush Bear NEW"